Daniël Saris (Past President of ICRS) is a specialized knee surgeon. He joined the Orthopedics staff of Mayo Clinic in Rochester MN USA where he helps shape the Regenerative Medicine program and sports knee surgery and adult knee reconstruction. Daniel Saris graduated from University of Amsterdam Medical School. During orthopedic residency dr. Saris did a fellowship at the Mayo Clinic in Rochester MN USA and subsequently completed a PhD at the University of Utrecht in the Netherlands that introduced the now generally accepted concept of joint homeostasis. 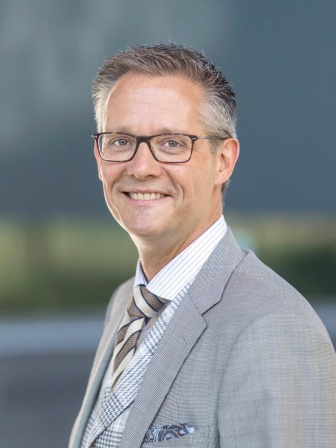 He practiced as staff member in the department of Orthopaedics at the UMC Utrecht for 17 years where he started The Mobility Clinic, an academical expert clinic for Musculoskeletal care. Prof Saris was part of the management team of the RM & stem cells focus at the UMC Utrecht and head of the orthopaedic residency program.